Why would I need self storage in Mountlake Terrace, WA? There are a variety of reasons why you might need self-storage in Mountlake Terrace, WA. How much is a storage unit in Mountlake Terrace, WA? The cheapest storage unit in Mountlake Terrace, WA is $39.00 per month. What size storage units do you have available in Mountlake Terrace, WA? In Mountlake Terrace, WA we have sizes that range from 5'x5' to 20'x30' to suit your storage needs. How much is it for a 5'x5' storage unit in Mountlake Terrace, WA? The cheapest 5'x5' storage unit in Mountlake Terrace, WA is $48.00 per month. Mountlake Terrace is a friendly city in Washington's Snohomish County. Part of the Seattle metropolitan area, Mountlake Terrace lies two miles northeast of Shoreline and 12 miles north of downtown Seattle. It's a relatively small city that offers a quiet, welcoming community along with plentiful amenities and easy access to big-city entertainment. The community where Mountlake Terrace now stands was established at the turn of the 20th century. At that time, the settlement was a major lumber center called Alderwood Manor. Over the years, many ranches cropped up and the area became known for its poultry, chinchilla and mink farms. In the wake of World War II and the Korean War, areas of Mountlake Terrace were developed to provide housing for veterans. 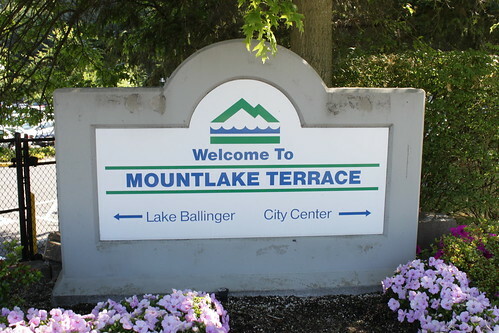 In 1954, Mountlake Terrace was officially incorporated. Mountlake Terrace offers a strong and growing economy, excellent recreational facilities and the allure of big cities like Seattle within easy reach. Although it's a small city, the local population grows during tourist season. Visitors come to see the Interurban Car 55 in Heritage Park, Edmonds Art Festival Museum, Edmonds Historical Museum and the scenic Lake Ballinger. The Plaza and Park Hills shopping centers are also popular destinations. The unemployment rate in Mountlake Terrace is low, and job growth has been positive. The largest employer in the city is Premera Blue Cross, which employs nearly half of the city's workforce. Other major employers include Edmonds School District, the City of Mountlake Terrace and Sterling Bank. The 22-acre business park Gateway Place and the Redstone Corporate Center II draw businesses to the area, providing more local jobs. Public schools in Mountlake Terrace are part of Edmonds School District in Lynnwood. There are also a few private schools in the area, including Brighton Preschool, Elementary and Middle School. Utilities: Mountlake Terrace's major utilities providers are the city utilities department, Puget Sound Energy and Snohomish County PUD. Garbage and Recycling: Waste Management facilitates curbside collection of trash, recycling and yard waste. The city is split into several collection zones, with each one assigned a specific pick-up day. Transportation: Community Transit and Sound Transit both operate public transit routes throughout the city. Nearly all residential areas of Mountlake Terrace are within a short walking distance of a public bus stop, so it's fairly easy to utilize public transportation. Homes in Mountlake Terrace tend to cost considerably more than the national average, but that's not unusual for a suburb of the Seattle metro area. Because the city has grown so quickly in recent years, demand for housing can often be very high. This means that properties can sell quickly, especially ones that are priced well. Our lowest priced units in Mountlake Terrace, WA average $53.00 per month. 185 people have reserved units in Mountlake Terrace, WA in the past 30 days. There are 5 locations within Mountlake Terrace, WA's city limits.